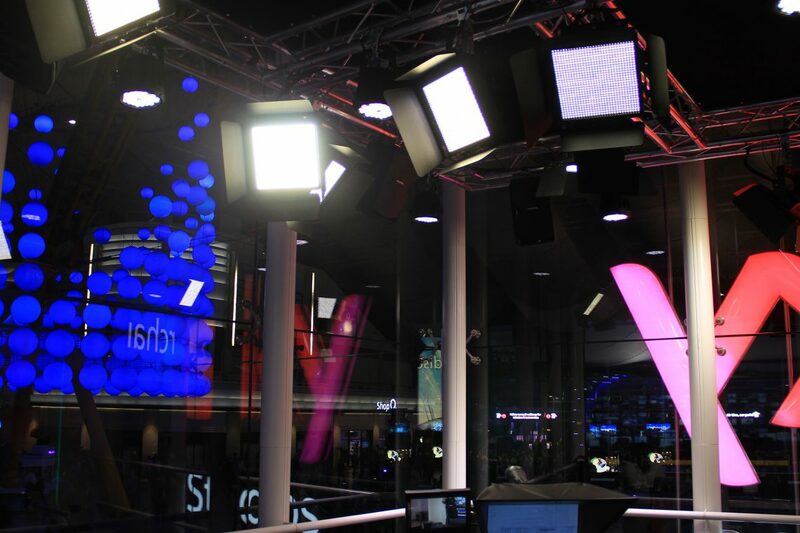 Based on the success of the mobile SKY News Studio, Perception Integrate were commissioned to design and build a permanent Sky Studio Installation into the O2 Arena. 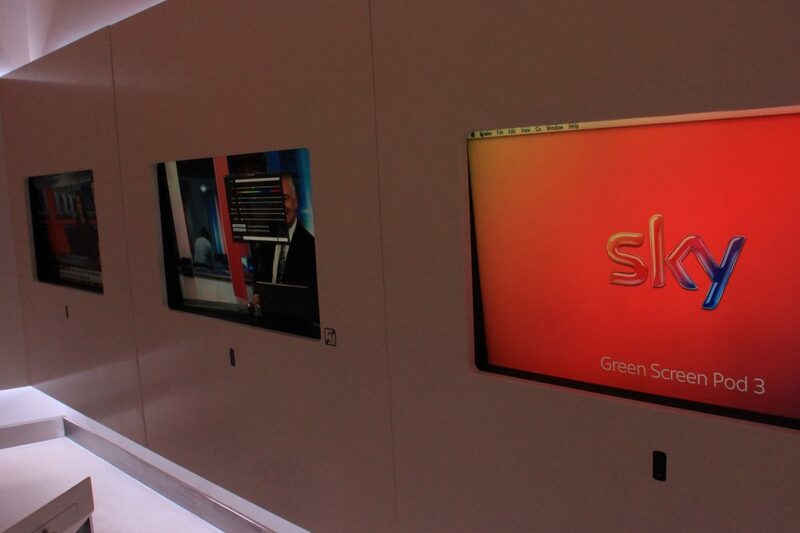 The Brief was to replicate a condensed version of the actual SKY News studio into a permanent solution in the 02 Arena. 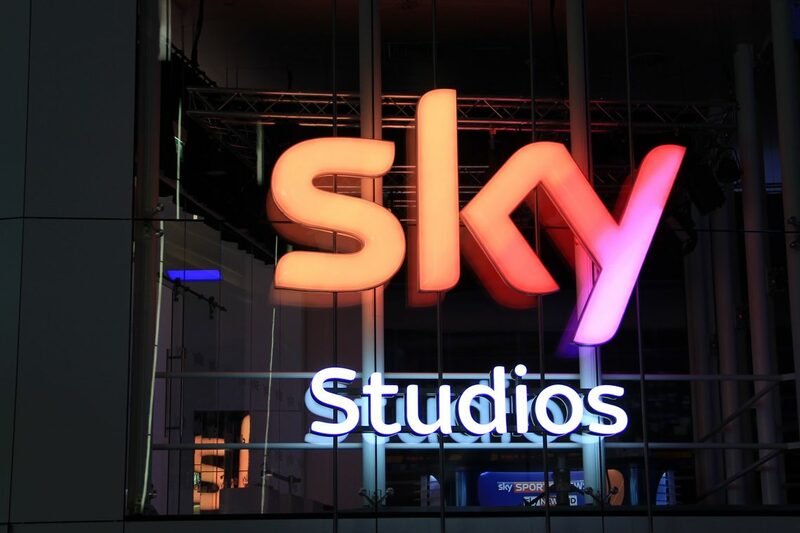 Our design team compiled a solution that incorporated all facets of the actual SKY Studios in Isleworth, and produced a graphical presentation for review by BSKYB and RPM alike. The proposal was warmly received and the team began production of a 3D render of the studio and plotted high level truss, studio lighting fixtures, audio sting speakers , camera, auto cue & tripod positions within the space. The Perception technical Department had to start the installation process by firstly qualifying and certifying all structure considerations, alongside AEG (building management & Overbury the main building contractor.) The team were after all hanging 750kgs of AV equipment above people’s heads ! so this required close attention to detail. The 1st fix team then began work pulling all necessary AV infrastructure and communications cabling into the studio at high, low and mid-levels. Once all cables were labelled and continuity tested the truss was mounted at high level onto the anchor points via high tensile steel cabling, and all specified lighting, audio was hung and commissioned. 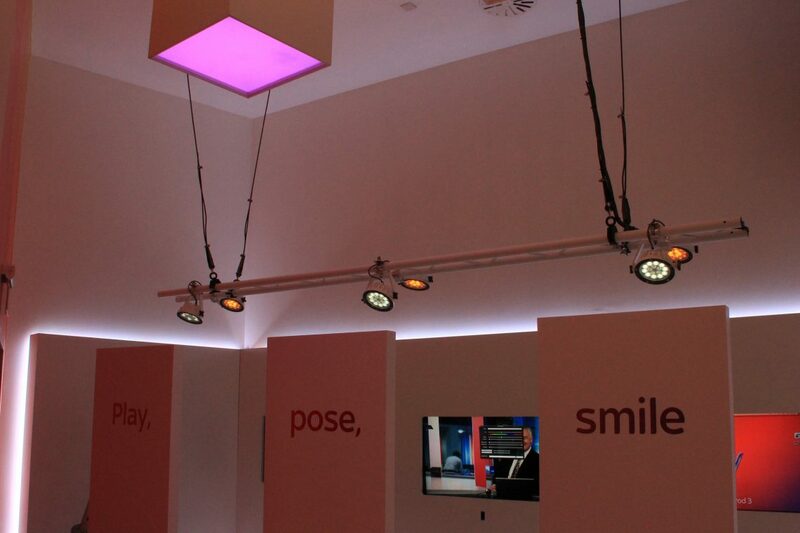 Work then began at low level installing studio microphones into the branded News desk, positioning the SKY supplied broadcast camera, and autocue. Meanwhile back in our build room at Perception HQ….. The rack build team were furiously working away building a 42U equipment rack that housed all video and audio distribution equipment, amplifiers and control processors, testing and commissioning to coordinate with the onsite team for delivery of the built rack to site and to connect & commission to the cable infrastructure in the Studios. The teams had no room for error with this as the Overbury build schedule was aggressive due to access within the 02 arena, and the teams had little to no snagging time. The decision to build, test and commission racks offsite is a testament to our AV design and verification processes. I’m happy to report the this installation went without a hitch apart from some very minor issue on the day with actually offering the fully built rack into the not very generous space provided ! Once the rack found its home, it was literally a plug and play type scenario! Great job by all concerned. 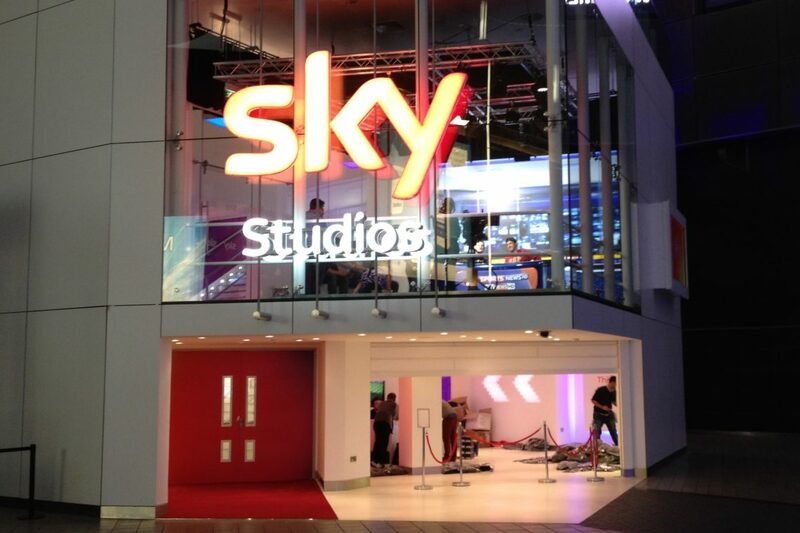 The feedback from SKY and RPM was very positive and the studio performed exactly as per the brief. What better way than to replicate the SKY News Studio, and invite the people to read the News of the day from an autocue whilst sitting at a full branded news desk with audio and lighting stings to enhance this experience, whilst being recorded. SKY gifted all participants with a unique code to enable them to download this recording from the SKY website. This is one of the most effective experiential marketing campaigns that truly does allow participants to experience the SKY News Brand. Perception are preparing the upgrade the Studios in late 2017 and provide more innovative digital experiences for SKY customers , so watch this space!